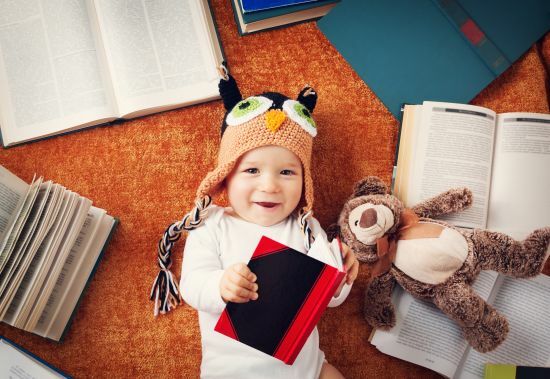 Are you looking for the Best Baby Memory Book to preserve your baby’s memories? Read on! Childhood flies by so quickly that memories get faded and without a record, it can never truly be cherished. This is especially true for babies and toddlers who grow so fast as they change day by day. Without a baby memory book for them to look back on, they can only rely on their parent’s memories. In fact, by the age of seven, children begin forgetting over 60% of early childhood events. Jotting down special moments as they occur can develop into a one-of-a-kind keepsake. Also, read 7 Brainy Benefits of Reading Bedtime Stories to Toddlers. Some other characteristics to think about are the quality and design of the book. Does it have a keepsake box or cover? What kind of binding holds it together? Is the paper quality durable? Will it stand the test of time? Also, consider how much work you will have to do. Some people are crafty and love to be involved with the design of their baby memory books. Other may prefer their journals come laid out for them and all they need to do is fill in the blanks. This simple yet classy design offers a gender-neutral template with a lot of room for creative design. The book consists of plenty of space to fit over 100 photos on acid-free, soy ink paper. It also comes with a protective cover to ensure safekeeping. Pages leave you with plenty of room to add commentary. Page headers offer you guidance as you fill in the blanks with captions, photos, and labels with 4 small pockets to keep mementos. Also, an area to showcase the life of the parent’s displays how your family was formed. For a baby, it covers the first 11 months till 5 years old. It also consists of holidays, school year milestones, and special trips. This award-winning pregnancy and baby journal by Helen Stephens is all about firsts. Beginning with the wonderful news of conception through the first year of your baby’s life, you can capture each moment. It will be a great reminder of how your journey as a parent began. It is filled with beautiful and colorful designs so that you can joyously fill in medical and personal information from sonograms to dreams. Record your birthing experience then continue with your child’s firsts. You can also keep track of your baby’s growth milestones and capture holiday photos. For the scrapbook lover, this creative baby journal comes with a load of bonus features that will have you personalizing. Monthly stickers allow you to add to the spiral notebook to remember important milestones of your little ones. The animal design can be translated to your nursery with ABC decals for the wall. This baby journal covers the first five years including pages dedicated to holidays and special moments with photo and caption sections designed like a scrapbook. It also comes with an envelope for safekeeping of mementos that can all be stored in a protective cover. One must have a record of Precious memories as time quickly flies by. Choose the Best Baby memory book which can serve as one of the first books that you read with your child. It also helps children remember their past as they reminisce about important events. Taking the time now to record your pregnancy, baby’s firsts, and early developments will be well worth the effort years from now. You may also like to read, Best Tips for Disciplining a Toddler.